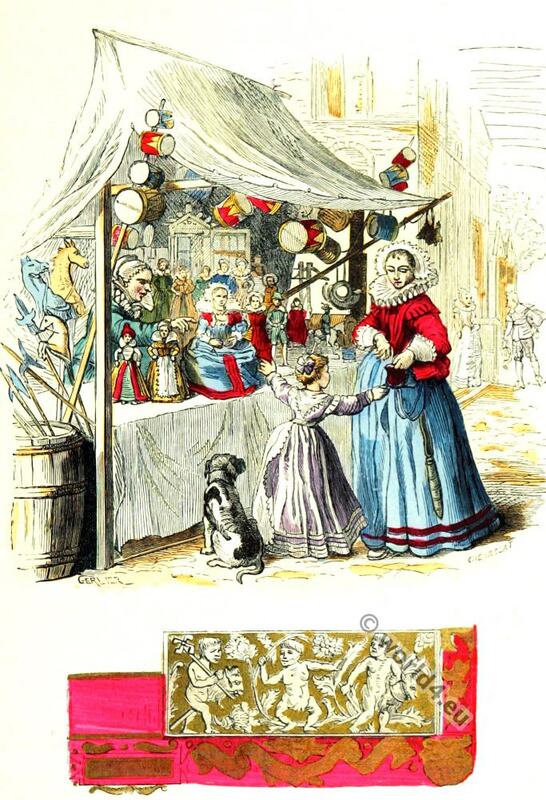 French shop of children toys of the 17th century. Home » French shop of children toys of the 17th century. Shop of children toys of the 17th century. Excerpt from an 1625 book, designed by Jean-Pierre Vermes. Boutique. Marchande de Jouets. XVIIe siècle. Extrait d’un ouvrage de 1625, dessine par Jean-Pierre de Vermes. This entry was posted in 1625, 17th Century, Ancien Régime, Baroque, Child, France and tagged Baroque era, Paris à travers les siècles on 8/5/15 by world4.